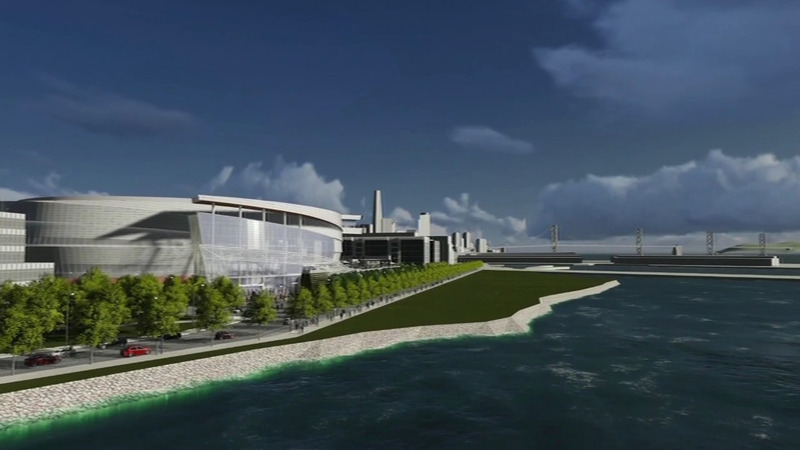 SAN FRANCISCO (KGO) -- Opponents of the Golden State Warriors proposed Mission Bay arena are putting forward a new alternative in San Francisco Monday morning. The proposed site would be near Pier 80 along the city's Third Street corridor and would have easy access to Highway 280 and Highway 101. It's just over a mile from the current proposed site in Mission Bay. Earlier this month, the team released its first animated rendering of the Mission Bay site. Opponents of the plan believe increased traffic will endanger people needing to get to the three UCSF hospitals nearby.